I know I said I don't really do New Years Resolutions, which is still true, but I don't mind the thought of starting fresh in the new year and starting new habits. I've always loved little notebooks and journals and diaries. I had them all - paper ones, the coveted "Password Journal" that would only unlock if you said your password out loud, and I even tried using a password-protected file on my laptop as a journal. When I was younger, especially during the summer, my Mom would make my sister and I journal at the end of every day - just write down what had happened, what we were thinking, nothing crazy. But I don't like being forced to do things, so that never lasted very long! I would write in my diaries occasionally throughout middle school, but that was mostly just writing about drama between friends and who had a crush on who! I never kept writing for more than a week or two. But I do like the idea of having some kind of record of what is going on in my life! Writing this blog actually does help with some of that, which is great. But this isn't necessarily where I'm going to share all of my thoughts and feelings and ideas and goals - no one wants to read a stream of consciousness about my life. 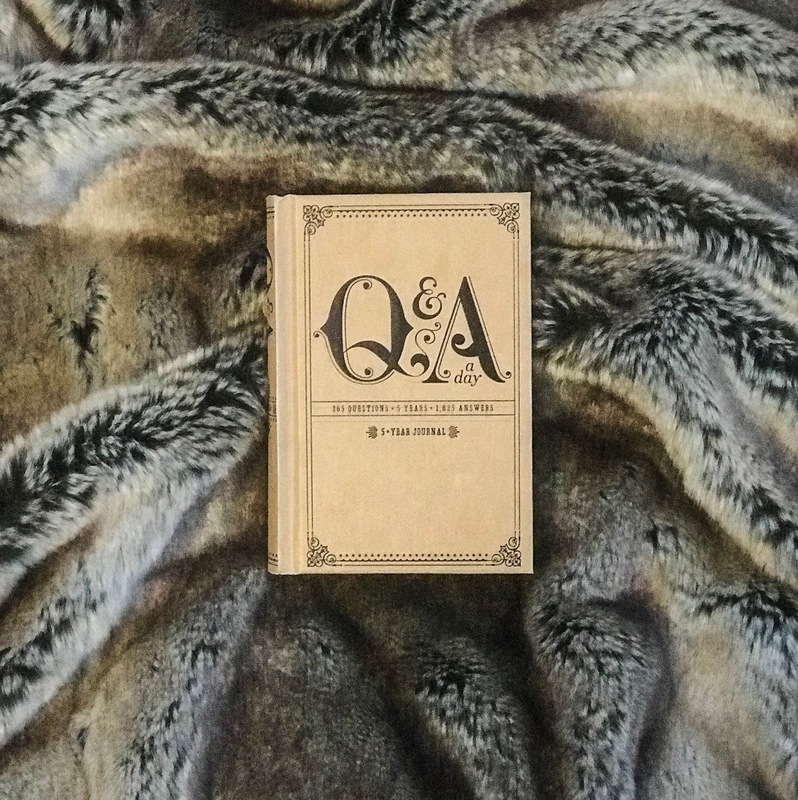 So my new habit is to write in this cool new Q & A a day journal that my friend bought me as a Christmas present! I like that it's short and sweet, so it's not something I can get bored with - every day, there's a different prompt that you write a one or two line response to. You do this every day for five years, so you can see how your replies change from year to year! I think that this is the perfect way to keep track of my life, and to reflect on what is different (or the same!) in my life from one year to the next.